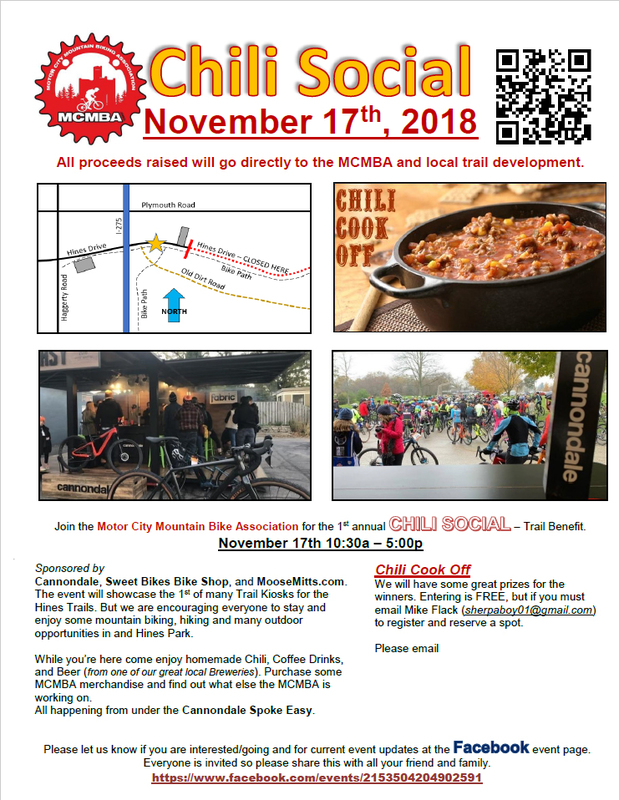 The Motor City Mountain Biking Association is a chapter of International Mountain Biking Association promoting mountain biking in the Metropolitan Detroit area. It’s back! As some of you may have heard, the front area of Lakeshore Park may be closed for a significant part of the summer, but don’t worry! 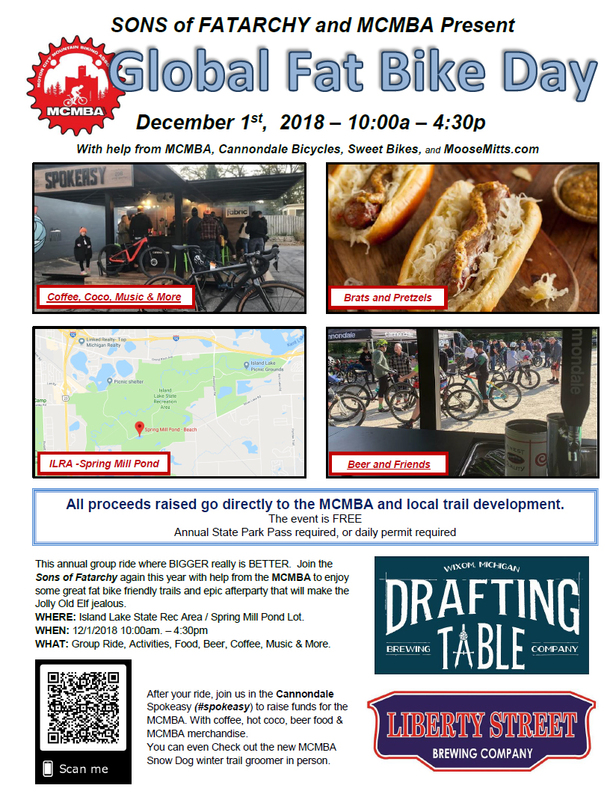 The city of Novi is making some fantastic upgrades to the park, including several features that will be cycling friendly! There have been rumors that we would be skipping the Relay in 2019, but that is not the case. After some serious brainstorming with our friends in the Novi Parks Department, we have come up with a solution to keep this race on the calendar. We will be using 12.5 Mile and Dixon Roads as our parking area, staging the race from the Pump Track area of the park. However, these changes are going to make us have to downsize the field. As of right now we are going to open up registration to 50 teams. Therefore we will be calling this year’s race the “2019 Tree Farm Relay Invitational”. But, It’s not really an invitational, as we aren’t hand-picking teams… we just wanted it to sound super classy! Yes, that is less than half the size of the normal field, but don’t worry, it’ll still be the same fun, crazy race that you have all come to love. So, get your teams together and get ready to sign up for the 2019 Tree Farm Relay Invitational. It’ll be different this year, but you can expect a lot of fun and surprises. Registration is open, and will fill fast - Don’t miss out on this exclusive event! Spring Demo Day - May the 4th be with you! Now in its 14th year, the Spring Bike Demo at Island Lake is a great chance to talk face to face with people who live the life: building, riding, and maintaining the bikes you want to own. Then, take a few out for a test spin on the road and trails at Island Lake, finding the bike that pulls at your heartstrings. See mcmba.org/demo for more information! The MCMBA is pleased to announce that starting during the 2018-2019 winter season, we will begin grooming the trails at Maybury State Recreation Area. The hope is to increase trail accessibility in the winter, and we are very excited to hopefully see more people on the trails this time of year. This will not be deemed a “fatbike only” trail with strict closures. This trail is a local favorite, and while we will do our best to make sure everyone is educated on best practices, we do not wish to remove access to those that have been using the trails for years only to find they are no longer welcome. We will HIGHLY RECOMMEND that tires of 3.8” or wider, as well as snowshoes for hikers, are going to make for the best experience on this groomed trail. Proper trail etiquette: Avoid the trails when ground is soft, ESPECIALLY during the spring thaw as this amounts to long term trail damage. Avoid making ruts or post holes before trail has had a chance to be groomed or when trail is soft. Set tire pressure low enough such that your tires are not creating deep ruts. Trail will be groomed to the trail coordinator’s best ability. Our chapter will do its best to update when the trail will be groomed on our Facebook page (link). Any social media stalking/shaming or public verbal harassment of those not using the trails as that individual may deem appropriate will not be tolerated. Any publicly posted negative commentary will only discourage the chapter from growing the program. Politely educate if you can, and report any land-specific violations to the DNR if appropriate. As Maybury has several trails available to hikers only, we will do our best to maintain some trail separation throughout the season. However, we will not close the groomed mountain bike trail to foot traffic, as this is under the DNR’s jurisdiction. We will not police the usage of trails. We will do our best to create the best experience possible for our trail users. 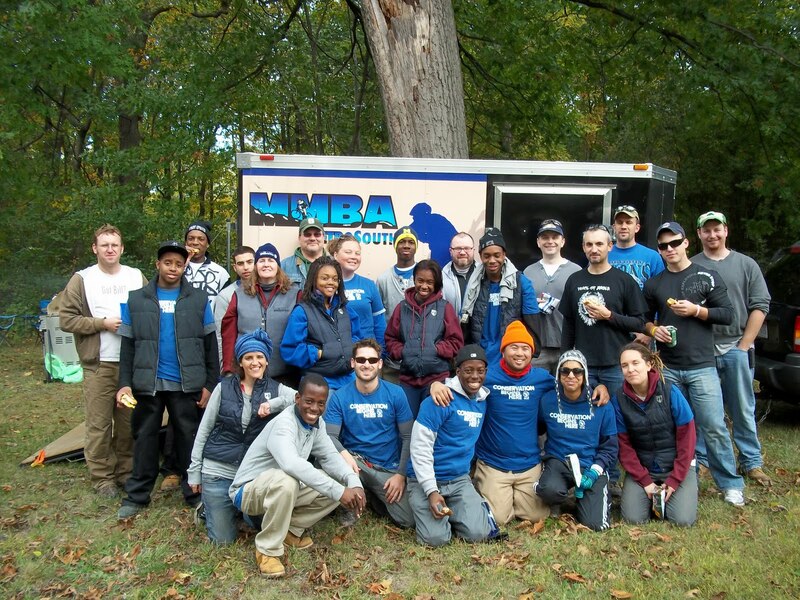 We hope to expand this program to other trails in the future. 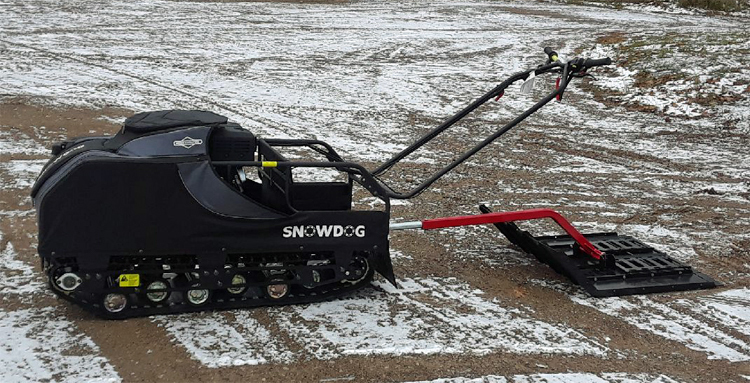 In order to help put a dent in the cost of the equipment, maintenance, fuel, etc., we are accepting donations for grooming activities in the present and the future. Starting December 2, a minimum $15 donation will earn you a “Grooming Supporter” sticker as a token of our appreciation, which you can proudly display on the top tube of your bike, your car, wherever you want to let it fly is cool with us! If you visit us at Island Lake on December 1st for Global Fatbike Day, the minimum donation for a sticker is $10! Make your Mark on the Park!